Wedding photos come in color and black and white and color at Temple Israel in Boston. 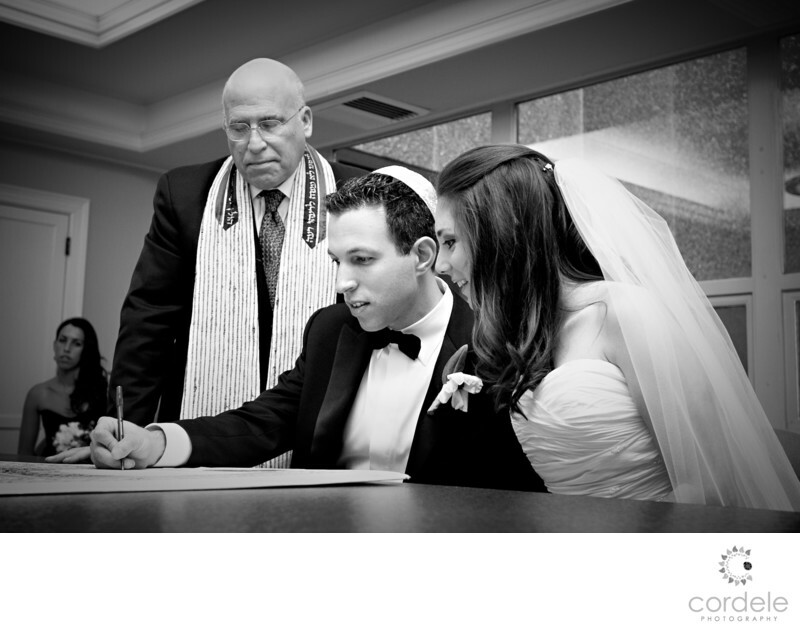 This photo above shows a bride and groom signing the ketubah right before their ceremony. The largest Reform Synagogue in New England, Temple Israel opened in 1854 and has served as a Temple and a function hall for weddings of Jewish Couples. Located minutes from Fenway park in the heart of Boston by the Beth Israel Deaconess Hospital, it's easy to get to. Location: 477 Longwood Ave, Boston, MA 02215.